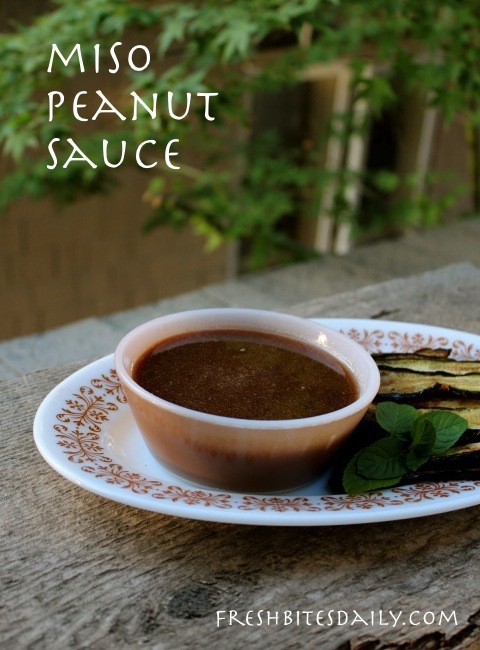 This delectable dipping sauce whips together in a jiffy. Try it once and you will find other uses — sauce for stir-fry, a base for an Asian salad dressing, or to baste for shish-kebab. 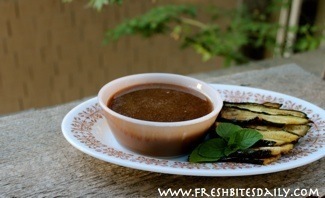 We enjoy it as a dipping sauce for grilled vegetables. It is a great food to enjoy around a table while visiting. Measure all but the water into a medium sized bowl. Slowly add the boiling water a tablespoon at a time. Mix well after each addition. Continue to add water until you have gotten the consistency you want for your use of this sauce. 1 Comment on "A miso peanut sauce. Use as a dip, use as a dressing"
This one looks intriguing to me. I am not really fond of peanut-based recipes.